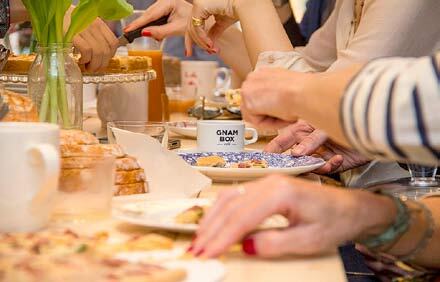 “I can’t stand people who do not take food seriously,” said Oscar Wilde. 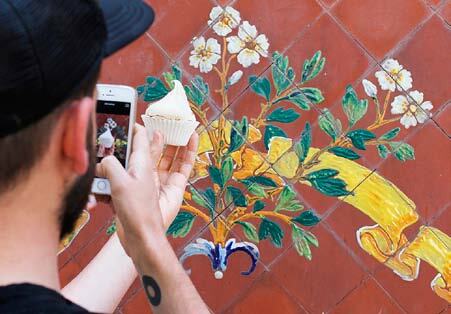 But he certainly could not have imagined food as artwork. 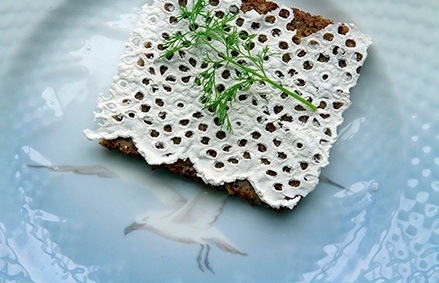 As in the creative research of Cecilie Rudolphe, of Danish origin but based in London, who combines a passion for food and the textile universe, in a “mixture of Nordic aesthetics and sophisticated couture elements,” in a playful, elegant way. 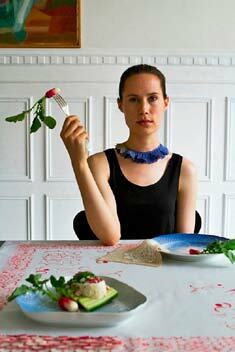 With the Velbekomme project (bon appetit, in Danish), “I investigate the meaning of consumption and refuse, proposing new forms and modes of use.” Hypnotic ‘Food as an Image’ with the illusion of a central role, to make table linens ‘delicious,’ part of the experience of dining and tasting. 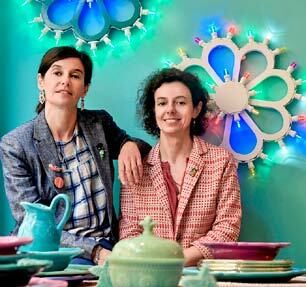 The adventure just begun in Milan by Mariangela and Titti Negroni is in tune with these ideas, in the recently opened Funky Table, in search of a mixture between “the imperfection of handicrafts and everyday irony.” “We want to create a dialogue between objects from different parts of the world, capable of updating our tables with a few new pieces,” they explain. The displays feature ceramics in the form of vegetables, or flatware engraved with initials in exaggerated lettering. There are also edible cracker dishes that can stand up to the heat of a soup. Guaranteed zero waste. 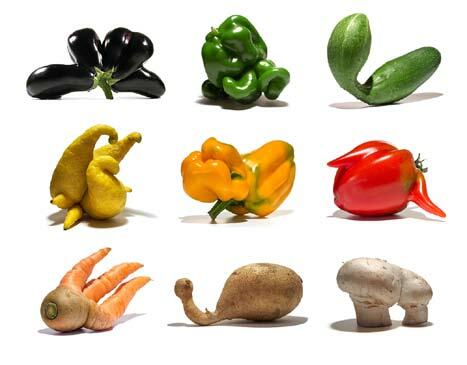 Discards are also the theme of the research of Berlin-based artist Uli Westphal, who with his ‘Mutatoes’ puts the spotlight on ‘flawed’ vegetables and fruits, specimens in which nature seems to have played a prank, modifying their shape. In front of his camera a potato that looks like a snail or a branching carrot can be transformed into a star. 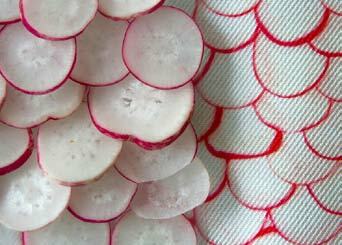 A version of ‘Food as an image’ by Cecilie Rudolphe with radishes arranged as the border of a tablecloth. 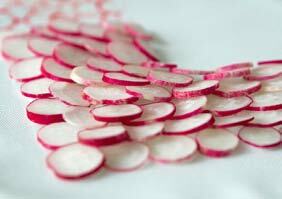 Radishes by Cecilie Rudolphe alternate with the design of the fabric and also reflect the profile of the Royal Copenhagen plates. 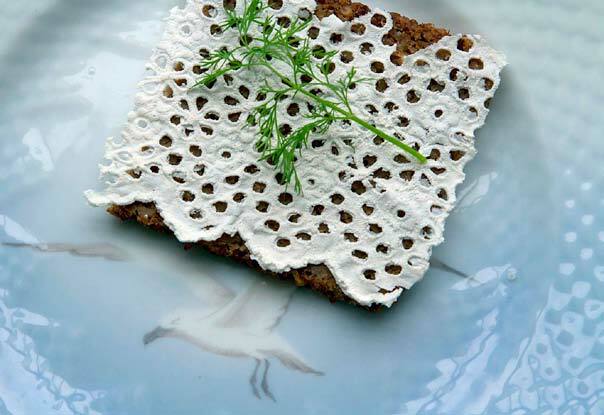 Edible lace by Cecilie Rudolphe, in flour dough molded with vintage doilies, for an ironic reinterpretation of Smørrebrød, the typical Danish sandwiches. 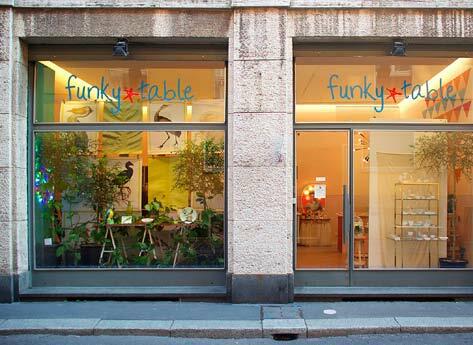 The windows of Funky Table facing the 5vie district, at Via Santa Marta 19, where new and vintage keep each other company. 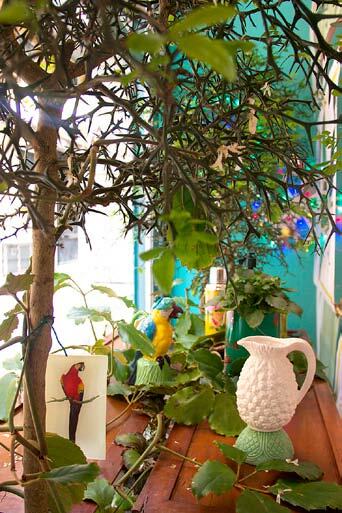 A corner of the window of Funky Table with an installation that mixes design and suggestion, and a pitcher with a pineapple motiv. 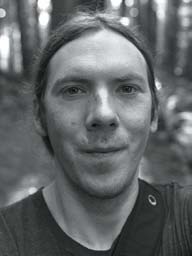 ‘Cultivar Series’ by Uli Westphal . 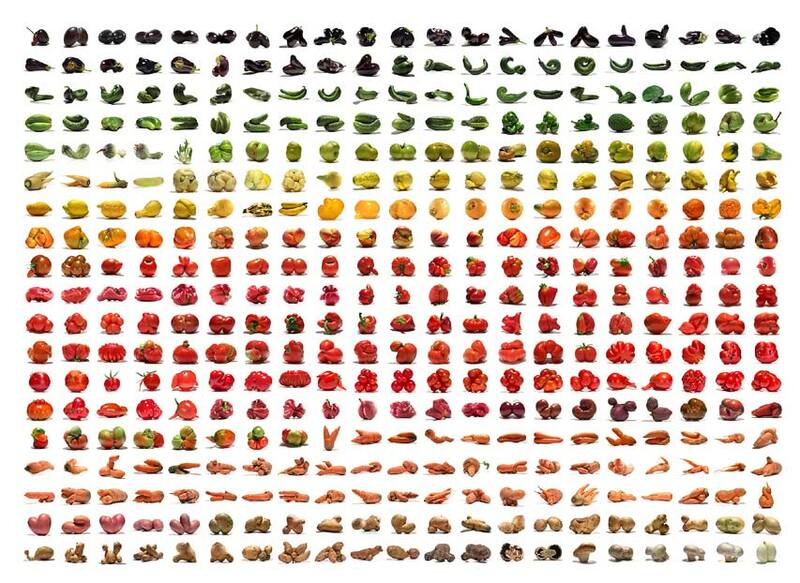 “I am fascinated by these rejects, they seem like sculptures, and they make you think about the food market,” says Westphal, who has been conducting this research since 2005. 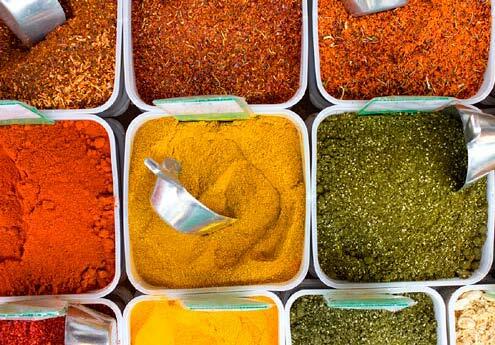 Travel images: spices in a market in Tel Aviv, at the website Gnambox.com. Convivial images (from the Gnam Box Cafe), at the website Gnambox.com. Casiraghi and Paleari tell the story: “It’s a project that reflects us, since we are two people always in motion who love opportunities to meet others in the most natural possible way.” They also like unsophisticated dishes, “just like the ones you eat at home.” The key word, in hashtag form, on Twitter: #infoodwetrust.